Today I´m revealing something I´ve been working on for the last seven months: Engined, a Divi child theme that comes packed with options to make customizing your Divi site a breeze. 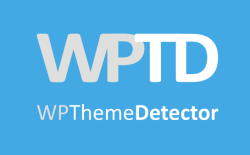 This is not exactly a release post because I would like some users to test the new theme before its final release, so you can take this article as both a sneak peek and a call for test drivers. The release of Engined, however, will follow shortly. Many of you are aware of the extremely long time it´s taking me to release the new version of my Divi Children plugin. I first presented a sneak peak of version 2.1 back in October 29, only to apologize by the end of the year when I announced that the update would go directly for a mayor release with Divi Children 3.0. Four more months have gone by and version 3.0 is not out yet. Why? Because a lot more of work, time and effort has been put into it since then. Divi Children is a plugin that automates the process of creating child themes for Divi, and it has some cool features. But since the introduction of the Divi Children Engine with the 2.0 release, the real power of the plugin does not reside in the plugin itself, but in every Divi child theme it creates. The Divi Children Engine included in each child theme lets you customize Divi very easily, without having to touch a single line of code and previewing all your changes as you make them via the WordPress Customizer. Anybody can create a new Divi child theme manually by following several not too complicated steps instead of using the Divi Children plugin, but the beauty of Divi Children is that the child themes it creates are very easy and fast to customize without having to code a lot of things by yourself. So, as I was finishing the master Divi child theme that will be used for Divi Children version 3.0 and wrapping up the completely revamped Divi Children Engine that will power the child theme, I thought it would be a good idea to release also a similar child theme ready to be downloaded and put to work, just like any other readily available child theme. And that is what Engined really is: a Divi child theme with exactly the same features you would find in any child theme created by the next versions of the Divi Children plugin, including the renewed Divi Children Engine, but directly available to be downloaded and installed in your Divi site like any other theme, without using any plugin. Yes you read that right, Engined comes packed with more than 500 hundred settings to help you customize your Divi site. A simple setting example: Customizing the size of the body font used sitewide. On the other hand, some options that look pretty simple, and that will be set just via a checkbox or by clicking on a button, did indeed involve a lot of development time and additional coding. Some other settings needed to take responsiveness into account, which also meant a lot of development and testing time, even for apparently easy tweaks. That´s why, all in all, it took me so long to have all those settings ready for this prerelease. That and some other factors, like changes brought by new WordPress or Divi version releases during the development which made me revise parts of the code that I had considered finished before, and also my willingness to make the revamped Divi Children Engine a consistent and flexible framework prepared for easy future additions and improvements. In this sense, I could say I reinvented the Divi Children Engine several times during the past months. And, since with Engined some Divi modules can be customized separately (for example you will be able to style two different Call to Action modules in two completely different ways, even if they are on the same page), those +500 settings can easily grow to a much larger number of available customizing options. Did I mention it´s going to be free? Oh, yes, by the way, I forgot to mention it so far: Since Engined is exactly like any child theme you´ll be able to create with Divi Children 3.0, and since the Divi Children plugin was conceived as a free product since its inception, Engined can´t help but be free as well. Let me tell you that, after all the tons of hours I finally had to put into it, I´ve been tempted to release it as a premium product, especially now that some people had started selling Divi child themes and plugins, many of them less costly to develop than Engined. But did I say a premium product? I do consider Engined a premium product (and I hope you will, too), only that it will be completely free. Do you want to test Engined? Like I said at the beginning of this post, I want some people to test drive the new Engined Divi child theme before it is officially released. After such a long time involved in its development, and after so many changes, I may have overlooked some things. And even if you don´t find any bug, I could have used for example setting names or descriptions that are not sufficiently self-explanatory. So if you are interested in testing Engined and providing some feedback, just say so in the comments of this post. I´ll really appreciate your help. I will send a prerelease copy of this child theme to the first 10 people who ask for it. This final paragraph was not supposed to be on this post. But it so happened that as I was writing it I´ve just received an email from Elegant Themes announcing the Sneak Peak of Divi 2.4 on their blog. After reading it, I´ve realized that a great part of my hard work on Engined and Divi Children will be in vain, because it looks like many of the features I´ve been working on will be included in Divi 2.4. Oh well, these things happen. I guess I should had released a not so wonderful product earlier. As my mother used to say, “The best is enemy of the good”, meaning that many times it is better to finish something sooner, even if is not perfect yet. I guess you were right once again, Mom. I would love to test drive this and of course write up a blog post for it as well. You´ll receive it in the next few days, maybe as soon as tomorrow. I´ve noticed I still have to do a little final cleaning. Actually, I was writting this post to get it ready for tomorrow, but like I said on the article the Divi 2.4 sneak peek caught me in the middle of it, so I thought I´d better triggered the whole thing today. So Engined will be the Children plugin incorporated into an actual child theme, thereby eliminating the need for the Children 3.0 plugin? Yes, but it doesn´t mean it would substitute Divi Children. They will be two different products with the same theme features: one is a child theme ready to be downloaded and installed, the other is a plugin that will create child themes like Engine. I´ve noticed that some people prefer the installable child theme approach, plus I keep receiving emails and comments from people who got errors messages because they were trying to install Divi Children as a theme instead of as a plugin. The last comment I got in this sense was this very same morning, even though some time ago I published a post to try to clarify this. But if one used the Engined, why would they need Children, and vise versa. If one uses Engined and wants to rebrand it fro instance, some editing would be needed. Whereas Divi Children lets you introduce all your info and even the child theme name upon child theme creation. But some people just happen to like the downloadable child theme better. Thanks, Ossy. You´ll receive it in the next few days. Wow, excited and appreciate the incredible generosity. Perhaps a donate button on the download page so we can show you our appreciation! I’d love to test drive this please! This is great, Luis! Your divi4u child theme generator taught many of us the importance of creating and using child themes! I use it on every Divi site I build. This looks like another winner! Would love to take it for a spin! Thanks for all your hard work! Thanks to you for your kind words, Kathy. I´ll make sure you get it. Well, it might not be the best time, but it’s still a good time. DIVI 2.4 will take a while to be launched and your work will still be useful – I’m sure it will. It looks amazing, so many possibilities and features we need on a daily basis. I would love to test it. Our hard work is never in vain. I have a site that I’m about to build/rebuild and would love to give this shot, would be more than happy to provide feedback. I would like to test it. I building my website? Great work Luis! I’d love to give Engined a test drive if it’s available. I have a project getting ready to start on would love to give Engined a go with that project. i’d like to test, i’m not into coding -yet- so I Will be testing as a consumer. Made a couple divi sites and I’m in 2 New divi projects now where fresh stuff is so welcome. Planning to work on 1 Tomorrow Morning so time is right! I would love to test drive it too please. great stuff!!! Would love to help test. Have the perfect Resteraunt site in starting this weekend I could try it on!! Luis, I’ve been with you since the beginning, so I shan’t abandon you now. EVERY divi-site I’ve built has used your DiviChildren plugin, and for good reason– it’s awesome. Thanks, Michael. I know you´ve been a great supporter from the beginning. I´ll make sure you get in the list as an extra guest. I would like to test, is it still possible? Please count me in on the trial, I’m a huge fan , promote your plugin on my home page and blog posts, and have left lots of comments over the past 9 months. please consider compassionate expansion of your trial to those not able to be online when you posted this … Thanks!!!!! Would you believe it, sorry Luis must of been my computer playing games. Email address now there. i have used your Divi Children in all the sites I have created. Don’t let a little upgrade hamper things, onwards and upwards. Congratulations! I’m on board. Would love to be a tester. Hi Luis, really like your work. I would like the opportunity to test if possible. Burning question: for people already using a pre-styled child theme, how can people use your new product , can I install ‘on top of’ or ‘after’ I have a child theme installed? Thanks, also, those moms are always right! But I’m certain you have lots of value in your product , with or without 2.4 , cheers! Engined will work just as any other child theme, so it won´t be possible to use it on top of an existing one but instead of it. 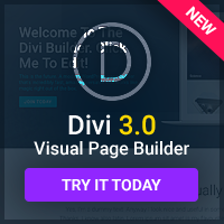 However, what I´m trying to do with Divi Children 3.0 is to allow the installation of the Divi Children Engine by means of the plugin in any pre-existing Divi child theme, just as it is possible now with the current version of Divi Children. That way you would have all the customization capabilities of Engined on your pre-styled theme, on top of whatever you´ve already done. But, even though I´ve tried to keep the child theme itself really simple leaving all the heavy work to the Divi Children Engine, it can get a bit trickier now. Ok, this is a common reply to all of you who I know have been using Divi Children and who are fans of it. Don´t worry, I´ll make sure all of you get the prerelease child theme. Like Susan said, it wasn´t your fault not to make it in just minutes. Just a little warning, though: you won´t get it inmediately. Please read my reply to Andrew above, but it´ll be in your email inbox very soon. Wow! So much hard work – thank you Luis. Don’t be discouraged by the 2.4 release – time spent building is never wasted. I’ve lost count of your tester volunteers, but if you have room for one more (with a desire for customisation far in excess of my coding ability), I’d love to be a tester; it would be lovely to be able to give something back. Either way, good luck with it all. I’m really looking forward to it! Id be delighted to assist with the testing of your new theme. I’m right in the middle of building a new eCommerce site for a client with Divi and Woocommerce and working with the release would allow me to work check it out without upsetting a live site whilst testing its suitability with Woocommerce. I would love to give this a test drive!!!! Its all looking amazing!!!! Hi Luis – I saw your post in the FB Page, and I definitely feel for you that the next version may add a lot of the same functionality, but I also think it’s awesome that you’ve already been working on much of the same sorts of things. It shows great vision and skill. I’d love to help out with testing, too. I would love to help test drive this. I feel your pain about a “waste of time” but hey, it’s basically an early 2.4 update! 🙂 anywhere I can donate? I would love to test this Child theme. I would love to test drive it!! Luis! I would love to test this out for you. You’re Divi Children is one of my favorite Divi related plugins of all time. I’m in awe of what you’ve been able to do and that you do so freely, you are an inspiration! Thank you for all your work, time and energy, you’re the real deal! I would like to test drive it too… Thanks! I would like to test it too. Might even interegrate it inside my italian multisite network and receive lot more feedback from it. I want ittt!!! Thank youu !! Please i will like to test drive engined, thanks! Hi, i would Love to test drive this. Wow, sounds cool! I’d love to test drive Engined! Be glad to offer feedback as well! I am starting a new site and would love to try this out. Thanks. I do not have time to test it at the moment but it looks like you have enough ppl to test. I only wanted to say THANK YOU!!! Great that someone that is willing to spend so much time and still give his (REALLY AMAZING) product for free! Well, looks like there’s more than 10 request already but I’d love to test drive. I would love to take a test drive please. Thank you. If you still have room, I am interested in testing Engined and providing feedback. Thanks either way. If possible, I would like to use your new Engined child theme on this customer’s Divi site. I’m completely new to Divi (busy reading the tutorials on ET) and so I thought I might make a good candidate for testing your new plugin? I have an engineering background but don’t know much about coding… still happy to provide feedback from my perspective as someone completely new! This customer has a specific website design he wants me to mimic so I will be learning how to use all the options of Divi… I see a lot of late nights ahead of me! Thanks for your consideration and congrats on the new release! hi I’d love to try out engine. I’m just starting up a new Divi site so I’m in a good place to try something new. I’ve already built two Divi sites and like it however I would like it to be more customizable. Hi, Thanks for all the work you put into this. I’d love to test it for sure, but if you have enough, please let me know when it available so I can be one of the first to download it. I am in the process of revamping several website using Divi and would like to test drive this on a couple of them if you don’t mind. I appreciate it. You are doing awesome work! I just found your website and am very exited about this new Divi Child Plugin version and your example Child Theme. Since the last two years Divi has become my main Theme for all my WordPress Projects. If you still got a spot for testers I would be glad to give it a test drive and giving feedback. I just created my first client site with Divi and now want to explore more options. Your child theme is definitely sparking my interest. I’d love to get on your list! Thanks for the awesome work! I’m currently building a site with Divi (And your amazing Child theme plugin!) but would love to be able to test out Engined, consider this my request! I want to test the child theme. We are currently rebranding our digital markeitng component and on our way to building the 1st phase of the website. Will you? Thanks. You don´t need to ask for it, it´s been released already. Here´s the Engined download page. Somehow, RRS and G+ Icons are still showing in my bottom bar. Ive removed in every single option that i know, but they still show up there. from the post it looks like the Engined child theme is Divi 3.0 friendly? and is it also WP 4.7 friendly? No, I´m not updating Engined nor testing it against new versions of Divi anymore. Engined was a great child theme that took many months to develop and provided a lot of features not previously available in Divi out of the box. But all the (not backwards compatible) changes ET introduced after Divi 2.4 make it very difficult and tiresome to have it updated to the latest Divi version, and also in this particular case “updating” would become a synonym for “downgrading” instead of “upgrading”. Please count me in on the test drive of this. thanks for creating this plugin. I wanted to use it in my divi website but i does not load the rtl support css file in divi, and do not know how to do it manually. please help me?! Are you still accepting requests to test your plugin? If so could you please add me to the list?